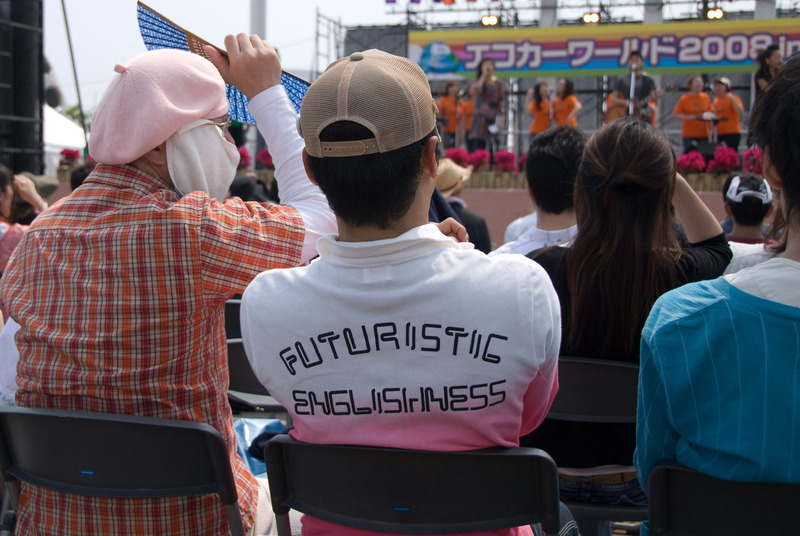 For reasons that I don't fully understand, shirts with English on them are extremely common in Japan. I think it's considered “cool”. It's been this way since before I first came 20 years ago. Sometimes what is written is a bit odd or silly, like the shirt above, on a lady watching a magic show (at Blume no Oka). Most often, though, what is written makes absolutely no sense. At all. But that's okay, because most of the population doesn't have the ability to realize that it makes no sense, so everyone remains stylish and happy. I have to believe that it's done on purpose, because it's rarely “Japlish”, the kind of mistaken English that a Japanese speaker is likely to produce when they attempt English. I think the more likely explanation here is a large quantity of psychedelic drugs at the nations clothiers. 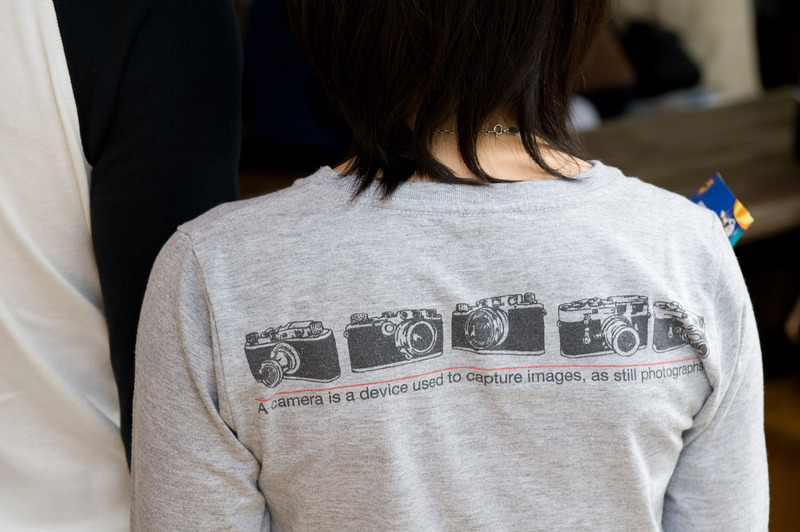 This is common in Japan, but not limited to Japan: my wife has some shirts with nonsensical English on them, but she got them all in The States, at American Eagle Outfitters. She didn't know/care what they said... only that they were stylish. I asked him (in Japanese) whether he knew what it meant, and it turns out that he hadn't even really ever looked at the text or even noticed that there was text. He bought the shirt, he said, because he liked the color and style. My gf is always pointing out to me Westerners wearing clothes with nonsensical Japanese, especially when we visited Australia. It cuts both ways. Hey Ron, I went to a high school called “University High School” in San Francisco, so I hope that’s not too odd of a name…. 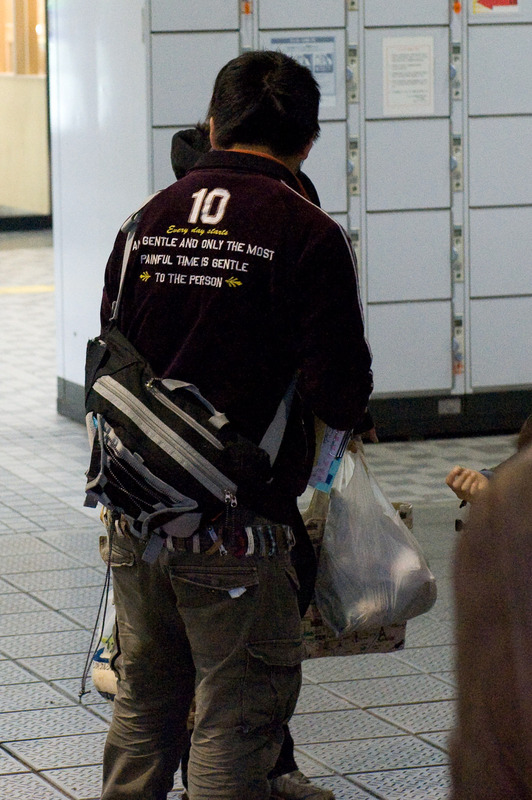 This used to drive me crazy when I first got here, now I rarely notice those shirts anymore. Only official, mistranslated signs make me smack my forehead these days… Why won’t they ask a proof-reader? I’d venture the guess that the making of these slogans involves a dictionary and a handful of dice. When I saw the large 10 I thought I was in for a countdown of your top 10 curious clothing communiqué. Have to say I was disappointed that it ended with Futuristic Englishness.